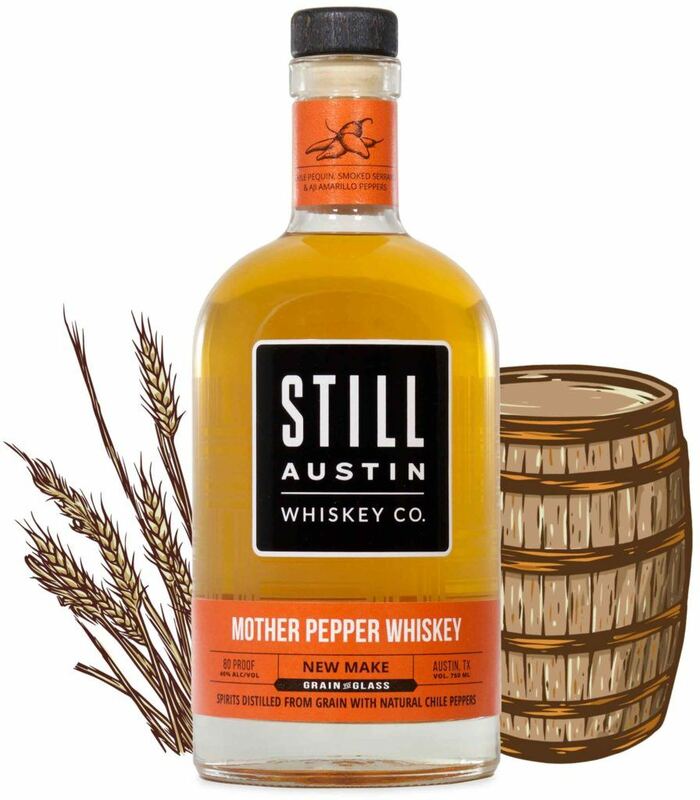 Mother Pepper Whiskey - Still Austin Whiskey Co.
Crafted using our New Make Whiskey, Mother Pepper is a tribute to Austin’s love of tacos, hot sauce and BBQ. This spicy spirit is macerated with whole Chile Pequins for a touch of heat and derives its smokey, bold notes from Smoked Serrano and Chipotle peppers while the Aji Amarillo pepper adds a savory, juicy pepper flavor. The result is a unique whiskey to be served straight up, or as a perfect addition to a bloody mary or spicy margarita.